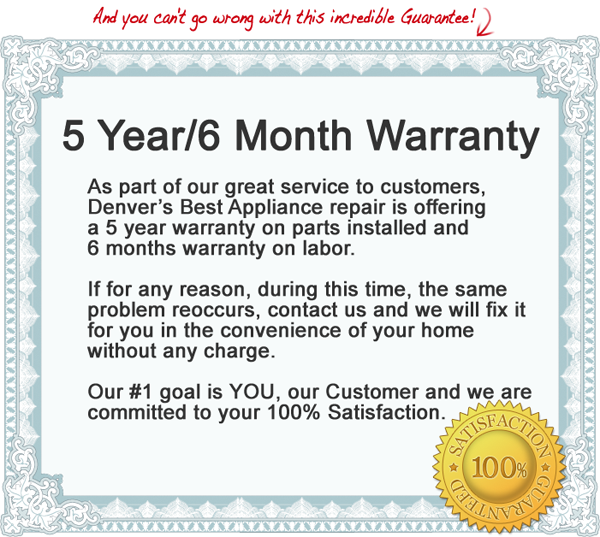 As part of our great service to customers, Denver’s Best Appliance repair is offering a 5 year* warranty on parts installed and 6 months warranty on labor. 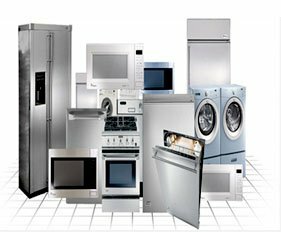 If for any reason, during this time, the same problem reoccurs, contact us and we will fix it for you in the convenience of your home without any charge. Our #1 goal is YOU, our Customer and we are committed to your 100% Satisfaction. Warranty Overall rating:	5 out of 5 based on 6 reviews.